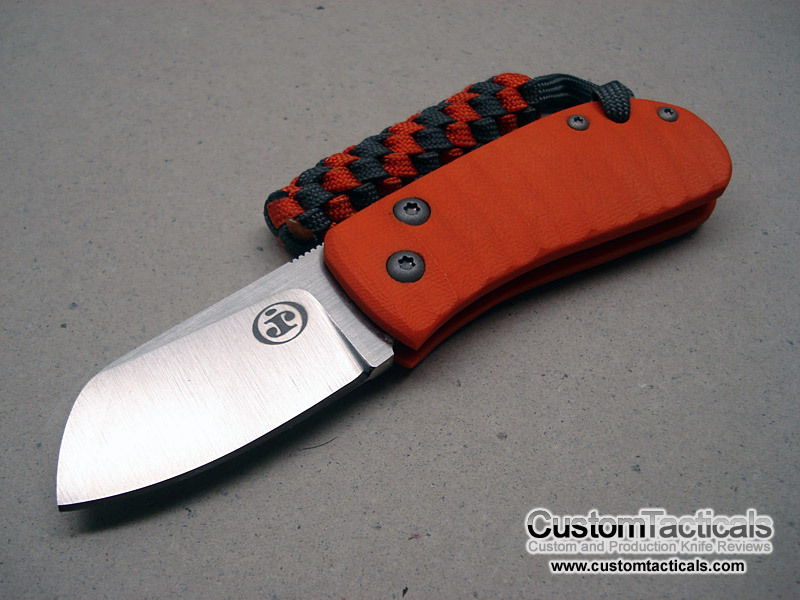 This striking orange G-10 friction folder from Jared Ryan is a joy to use and fun to look at. 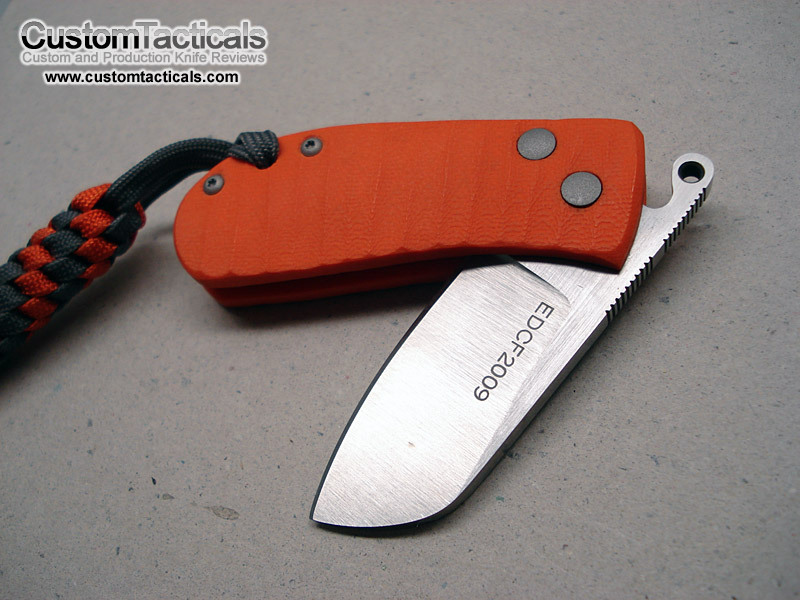 The textured G-10 handles give good purchase for the hand and the satin hollow ground finished blade is very sharp. 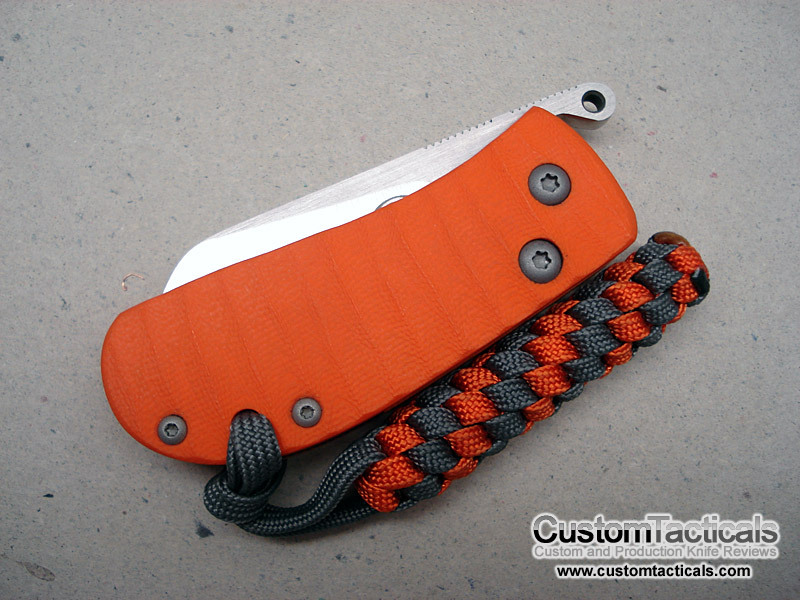 Jared Ryan is a small custom maker from the US and at the time of purchase, this was his only model.